The planned deployment of the latest US nuclear bombs at the Buchel Air Base in Germany would disrupt the strategic balance of forces in Europe and could force a reaction from Russia, President Vladimir Putin’s press secretary has stated. “It may lead to the destruction of the strategic balance in Europe. Therefore it would definitely cause Russia to take corresponding counter-steps and counter-measures in order to restore the strategic balance and parity,” Dmitry Peskov told reporters on Wednesday. “This is another step and unfortunately it is a very serious step towards increase of tensions on the European continent. Such actions cannot be described as a step towards stronger trust and greater stability,” the Russian official added. The statement was prompted by news this week circulated by the German television channel ZDF, which found out from US budget documents about the US Air Force’s plans to bring new B61 nuclear bombs to the Luftwaffe’s Buchel Air Base. It currently hosts Tornado multipurpose aircraft that are capable of carrying atomic weapons. Twenty older bombs are stored at the base under a nuclear sharing deal, while it is the only facility in Germany, which has kept nuclear weapons since 2007. The newer B61 Mod 12 bombs are more accurate and have smaller yields than modifications 3 and 4, which are currently deployed in Europe. The Russian Foreign Ministry’s spokesperson Maria Zakharova earlier told ZDF that Russia was deeply concern about America’s plans to bring new nuclear weapons to Germany. She noted that Russia has reduced the number of tactical nukes it keeps by four times since the 1990s, while Moscow has also called for an international treaty, which would allow nuclear powers to only keep atomic weapons on their own territory. “The comprehensive analysis of the situation points to the threat posed by the increasing military capability of NATO and its endowment with global functions, which it performs in violation of the international law, as well as the encroachment of the military infrastructure of NATO members on the borders of the Russian Federation,” Zakharova told German reporters. The head of the State Duma Committee for Defense, MP Vladimir Komoyedov (Communist Party) told TASS that Russia could deploy more weapons to its western exclaves – the Kaliningrad Region and the Crimean Republic – in order to retain a strategic balance of forces in Europe. However, the lawmaker noted that Russia had enough weapons, even on its mainland, to effectively ensure the security of the country. 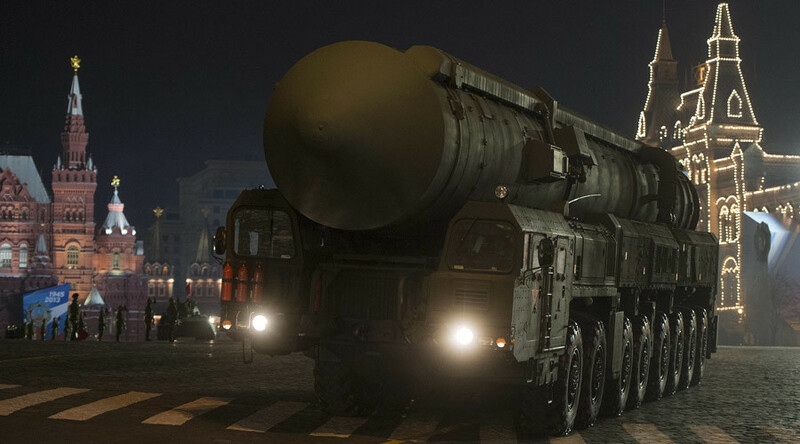 The Interfax news agency quoted an unnamed source, “from military-diplomatic circles,” who said the Russian authorities were studying the details of the US plans to deploy new nuclear bombs to Germany and may decide to bring its newest Iskander-M tactical nuclear weapons to Kaliningrad if the threat is judged as being a valid one.